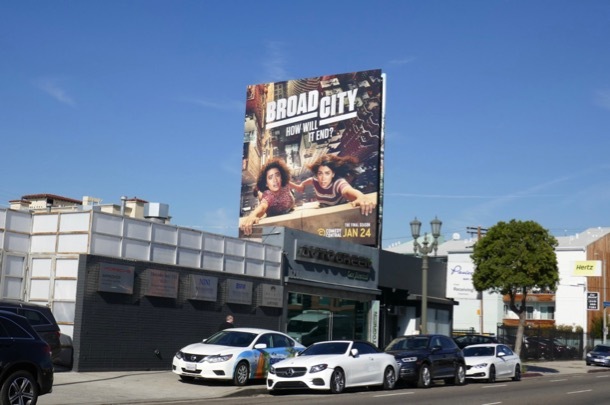 Sometimes it's hard letting go, but it's time to say goodbye to the twenty-something BFFs of Broad City, Ilana Glazer and Abbi Jacobson. 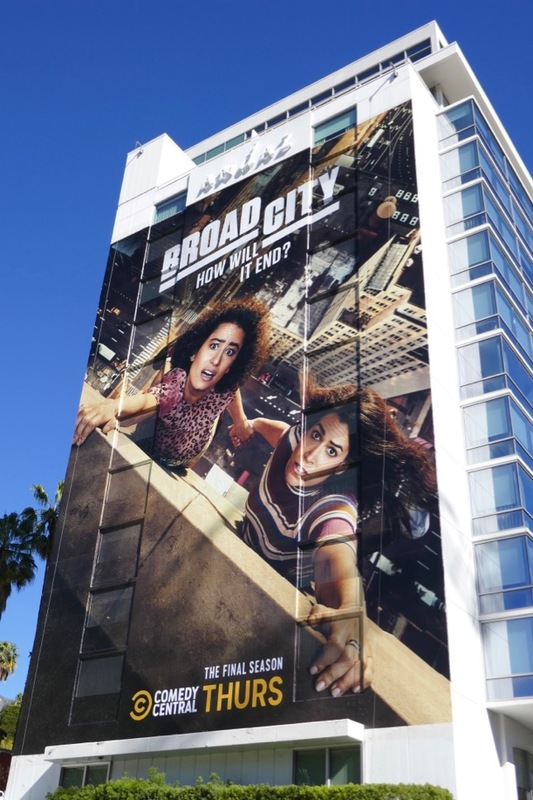 The broke ladies of New York City are back for a fifth and final season of living large in their groundbreaking Comedy Central show. 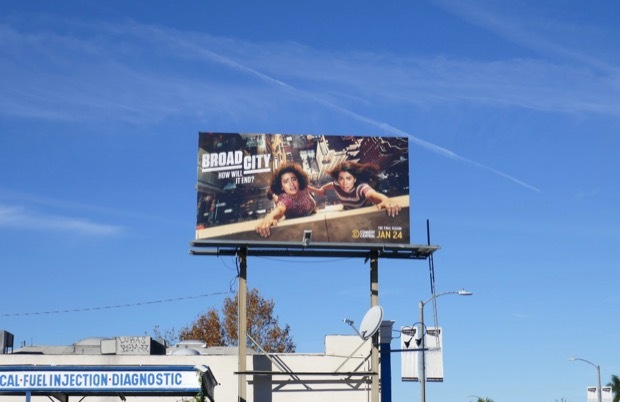 These fifth season billboards were snapped along La Cienega Boulevard on January 9 and Melrose Avenue on January 19, 2019. 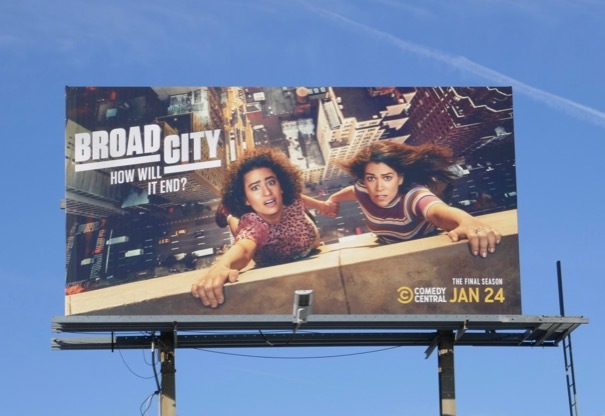 Fans of the show can also enjoy all these previous season promo billboards for Broad City from 2014 to date. 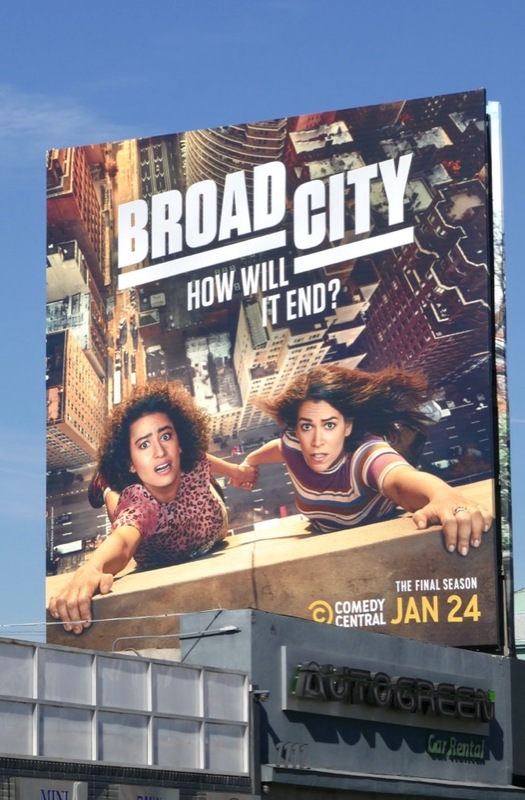 Yas, queens, there's still another season to enjoy before they say "Ciao", and to kick things off in style Abbi is turning 30 and the comic duo are going to walk the length of Manhattan and chronicle the whole thing on social media. 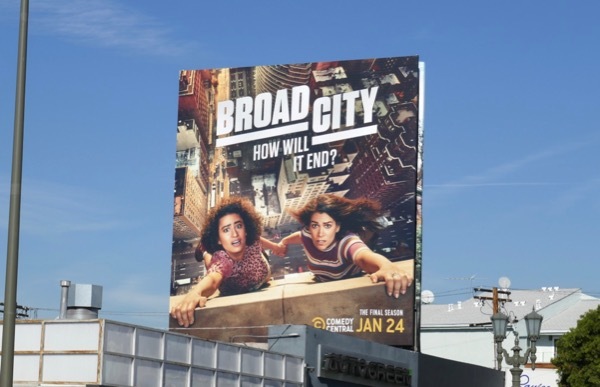 Let hilarity ensue. 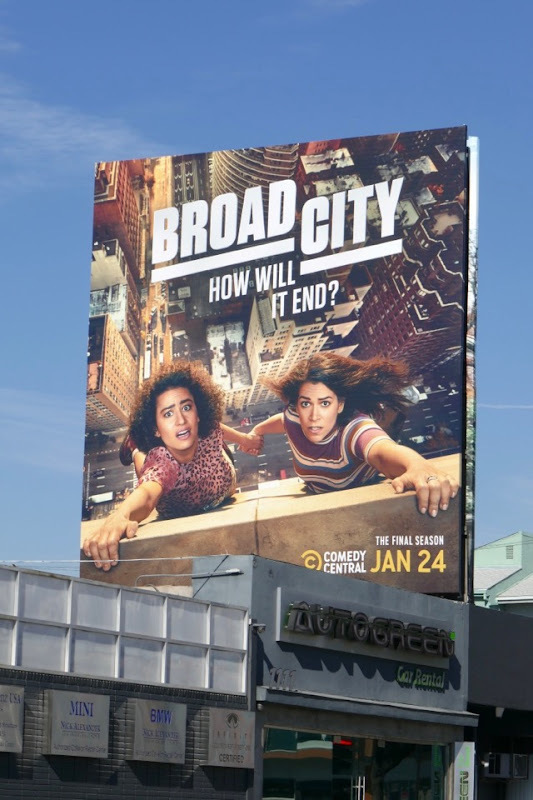 UPDATED: Comedy Central is certainly making sure that Ilana and Abbi's grand finale grabs your attention with this super-sized billboard along the Sunset Strip. 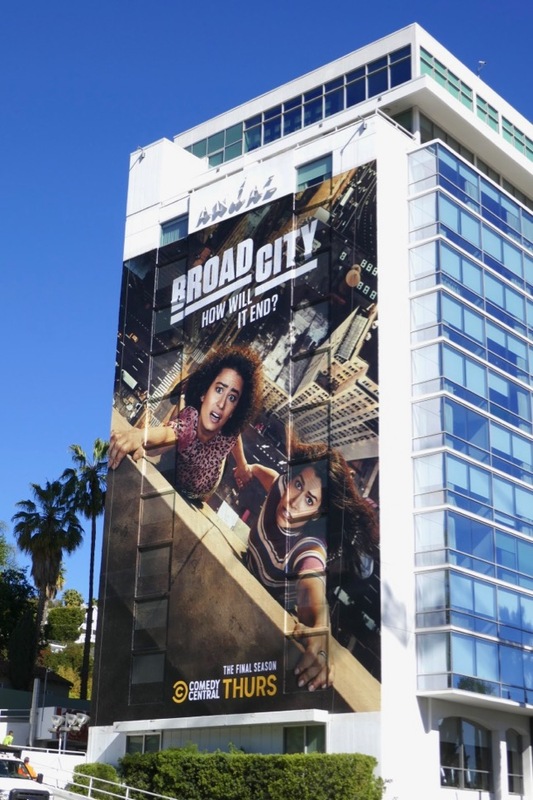 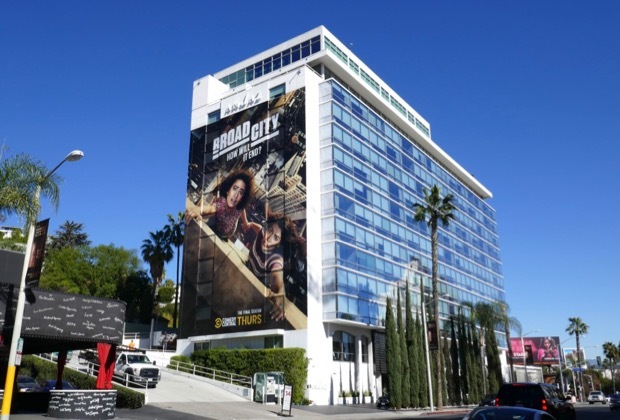 This giant season key art was photographed on the side of West Hollywood's Andaz Hotel on January 25, 2019. Fans of the show can also check out these fun season four costumes from Broad City on display at L.A.'s FIDM Museum last summer.